You'll be £4.99 closer to your next £10.00 credit when you purchase Compacts and Cosmetics. What's this? This fascinating book explores the history of makeup and beauty from lipstick to leg shaving. Madeleine Marsh chronicles the development of cosmetics from a secret shame in the 19th century, to a handbag essential in the 20th. She tells the stories behind famous brands; explores the role of makeup in peace and war - showing how our daily beauty rituals reflect the changing roles of women across the decades. This lavishly illustrated history also provides a guide to collecting vintage compacts and cosmetics – revealing the old makeup that you shouldn't throw away. As seen on the ITV 'This Morning' website. 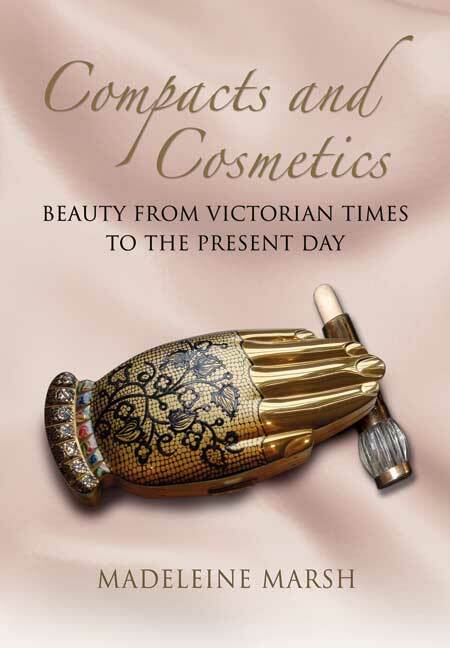 Compacts and Cosmetics is full of quirky images and is a fascinating read for anyone interested in collecting vintage cosmetics and vanity products. She looks at how makeup went from a secret to changing lives of women, how what people do to their faces and bodies reflects the changing roles of women and men. To finish the book, she provides advice on how to find collectable powder cosmetics and cosmetic accessories, showing that throwing things away is not always the answer.